Wednesday’s Word from KCC is content from weekly e-mails sent to KCC partners regarding state and national cancer control news of interest. If you would like to be added to this email list, please contact Katie Bathje at katie@kycancerc.org. Colorectal Cancer Screening 101: What Community Health Workers Need to Know. January 29th webinar. 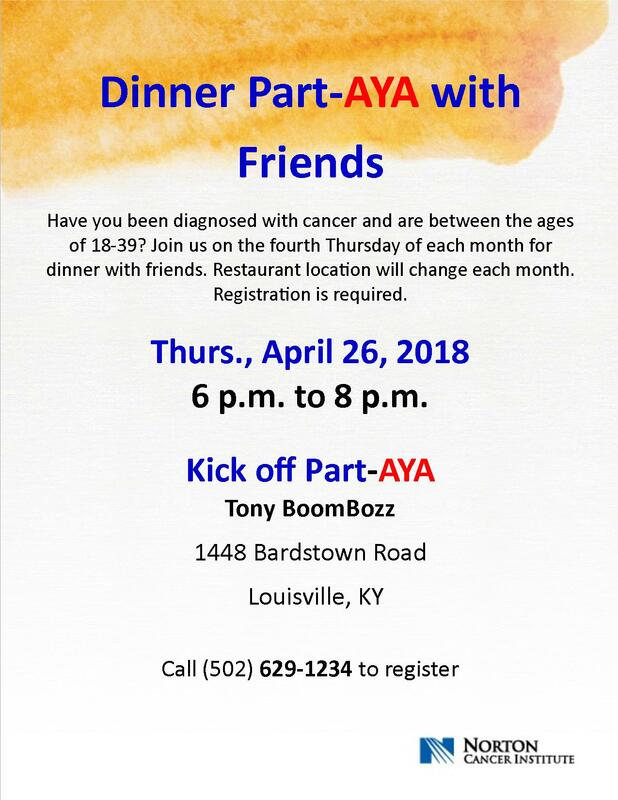 Dinner Part-AYA with Friends: Have you been diagnosed with cancer and are between the ages of 18 and 39? Join us for dinner out (new location each month) the fourth Thursday of every month. Registration required. Call 502-629-1234. Event is hosted by Norton Cancer Institute.